The shift to the cloud has disrupted nearly every aspect of the traditional vendor-customer relationship in the enterprise IT landscape. Today’s IT organisations are rapidly developing greater expertise in cloud computing, but they also increasingly depend on the experience and expertise of their cloud service partners and suppliers. This is especially true at the outset, when the organisation begins to plan how they will migrate their line-of-business applications to the cloud. Experienced IT professionals know that cloud migration projects present numerous risk factors, each of which must be understood and addressed to increase the likelihood of success, which — like many IT projects — is best defined as “nobody outside IT noticing that anything is different.” Application performance, systems access, data security and the multitude of other implicit expectations the organisation has for its infrastructure must be preserved, even as applications, data, and network configurations are moved to run within a third-party’s environment. Moving from an on-premises operations model to a cloud model means working with new participants and defining the roles, responsibilities and priorities of everyone involved. I spoke to one IT manager who, when planning the migration of several thousand virtual machines, found it helpful to draw up a chart, like the one below, to get all the stakeholders on the same page. Research has shown that teams with a greater degree of role diversity tend to develop more innovative solutions and achieve greater success in reaching their objectives. The same is true of the team that brings the organisation to success in its cloud journey. Each player has an important role to play, and cloud initiatives that leave out a critical contributor are disadvantaged from the start. Just as dangerous is the initiative that assigns responsibilities incorrectly. If all participants work from a mutual understanding of each contributor’s strengths and roles, and communicate openly and frequently, the migration to the cloud is much more likely to succeed. Given multiple participants, each with a unique skill set, project role and mission, how does the whole team get explicit agreement on each contributor’s part in the cloud migration initiative? Quite simply, it’s a question of leadership. 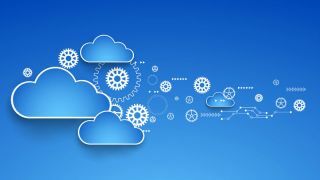 An IT organisation that is proactive and leadership-oriented (rather than reactive and “firefighting”) is essential to set the tone for accountability and communication throughout the course of the cloud migration initiative. From the initial planning phase, it is the IT leader’s responsibility to bring together the contributors and include them in the definition of the “three Ps”: project, people and process. The project definition includes the schedule, success criteria, risk factors and operational requirements. In identifying the people who will participate, it’s important to go beyond defining roles and to also consider whether, based on the risk factors that have been identified, the composite team has gaps in its expertise. Additionally, it’s important to consider contingencies in the event that a team member leaves the project before completion. The process definition includes the tools and technologies that will be used, but it should primarily focus on ensuring protocols for clear communications, defining expectations for status reporting, and scoping knowledge transfer and documentation requirements. Once the project is under way, the leadership-oriented IT team should provide a steady hand on the team’s work throughout the migration, ensuring clear communications, proper execution and thorough validation of the success criteria. However, there is a difference between being the leader of the project and controlling every aspect of its execution. Strong leaders operate with trust in their contributors’ expertise and, in doing so, get their contributors’ best work. This is especially important in a project like cloud migration, due to the number of — and differences among — the project participants.